Social/Bookmark sites: Delicious, Flickr, Twitter, Retweet Button, Facebook, MySpace, StumbleUpon, Digg, Slash Dot, Mixx, Skype, Technorati, Reddit, FriendFeed, YouTube, LinkedIn, Newsvine, SlideShare, Google, Google Talk, Yahoo, Yahoo Buzz, Netvibes, MSN, Qik, Vimeo, Viddler, Virb, Tumblr, WordPress, Blogger, Posterous, Behance Network, Friendster, Bebo, Squidoo, Share This. All social media icon sets presented below are the lastest versions, you do not have to find from other sources for updates; and they’re are FREE for commercial and personal use on your websites, web applications, software applications, print designs, and other works; but you must follow the Creative Commons license. This free icon set contains 12 high quality, free icons in these sizes: 16x16px, 32x32px, 48x48px, 64x64px and 128x128px and 32-bit transparency PNG file format. 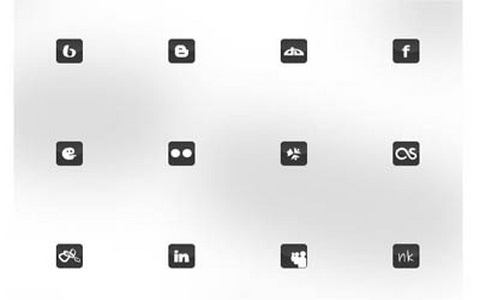 Yes, this collection of best & free social icons will be continued in the next posts. Let visit (9) Nice Blog Tips & Tricks regularly to get a lot of tips and tricks for your road of blogging. 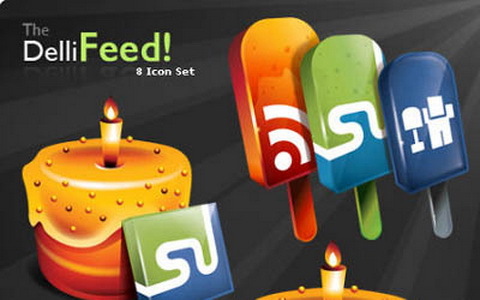 Or stay connect connect with us via RSS to get more cool social icons if you like this post. Do not forget to sign up your email to get our updates. 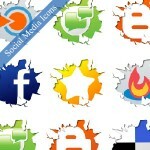 Hope you like the collection in this post, now click here (41 MiB) to download all 19 free social icon sets.